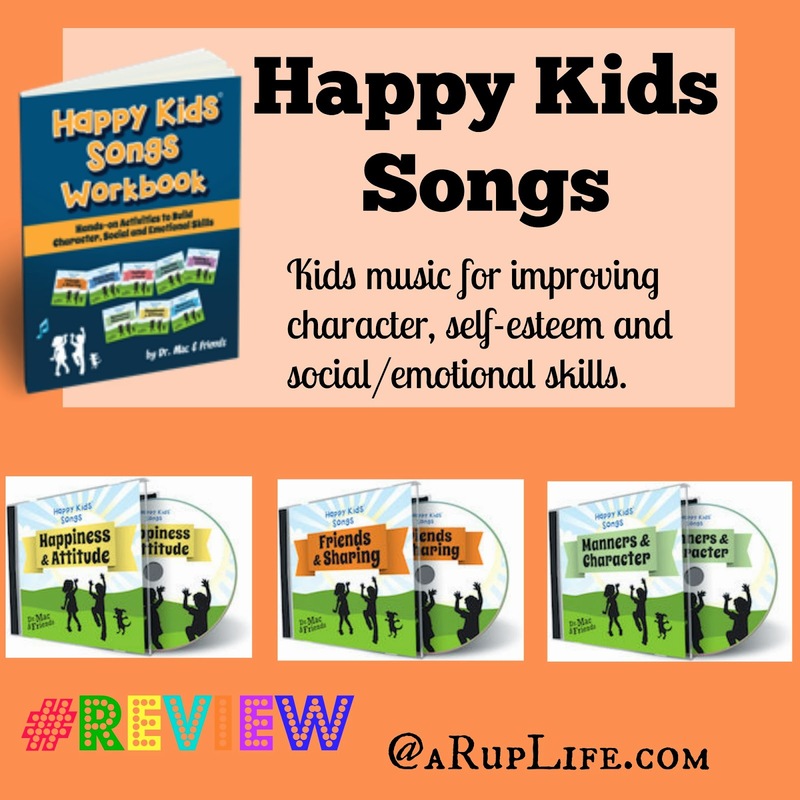 We were recently picked to review Happy Kids Songs. These songs are designed to boost character, self-esteem and the general happiness of children. "Who Knows What's a Kudo"
The songs I received came in a download version however when you purchase the site will direct you to itunes or Amazon. I have put them in my dropbox for easy access - you can also burn to a disc for portable access. Jace our three year old is really the target for these songs. For me the best way to use them is to just play them during the day at play time. We are not currently doing school but will be back in August. I love to play music during schoolwork time and these songs would be perfect for that. While I didn't use the workbook for him (he is only 3). I'm beyond thrilled to have it. Included are all the lyrics to the songs! I think it would be WONDERFUL for music time for school. I remember my music teacher in 5th grade would hand out lyrics and play songs on a tape recorder (yes a tape recorder it was the 80s!) We would sing together as a class. I think this would be a wonderful activity for all ages - especially with the types of songs Happy Kids Songs has. I love the heart behind this music. They lyrics are encouraging. The focus is to build character and it shines through the lyrics! I also like how age appropriate these songs are. I'm not feeling like I've given up my personal standards by letting my children listen to any of the songs. The ones with the kids singing are my favorites. Just a sweet innocence about a kid singing about a best friend or sharing. What I also like is by listening and learning songs is that kids naturally hear the subtle lessons. It will help with the bigger picture of kindness in character training we are working on in our home. Overall we enjoyed all three albums and I was pleasantly surprised by that. I love the subjects that are sung about and I think that is why the songs have grown on me so much.